Looking for a job in Lake City, Florida? We are always looking for motivated individuals seeking employment in our area. 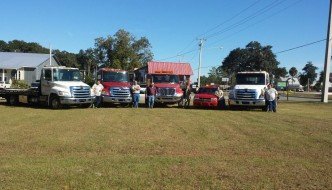 After appropriate training you will be assigned a truck in which to perform emergency roadside assistance, local and long distance towing services and accident clean up and towing. 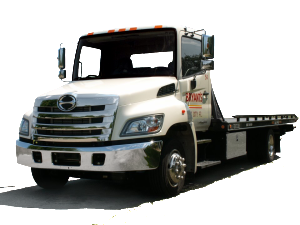 You will need to maintain a professional image of yourself and Bryant’s towing to the public and our customers. Lastly you will need to maintain your truck by keeping track of service dates and the truck’s cleanliness. Please fill out the form below with as much information as readily available and we will pre-qualify you for our application process. Must have never been charged with or convicted of a felony. If you have any questions about employment at Bryant’s, or would like a more detailed job description, please call 386-752-0491. Have you worked in the Towing industry before? Do you have experience driving a commercial truck? Will you be living in Lake City at the time of employment? If no, then were will you be located?